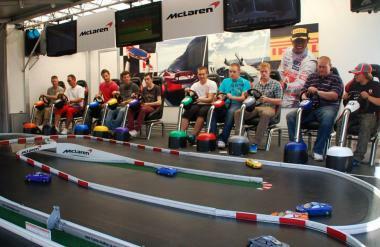 The Racing Bug manufacture and operate unique, mobile scale race systems which are consistently the 'star of the show'. Driven by radio control, our systems provide precision driving and a realistic racing experience. Suitable for all event types inclusive of parties and exhibitions, we have a variety of vehicles, systems and bespoke packages to suit your event needs. Whether we are hired as a marketing platform or for high quality entertainment, we ensure all guests have a memorable time! 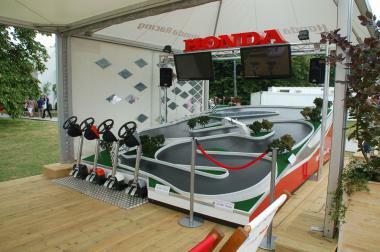 Our systems engage visitors in REAL, competitive motor racing. Participants don't just watch the action - they ARE the action. 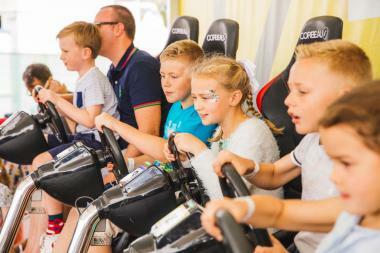 The opportunity to gain a real personalised Race Licence and to experience the action from behind the wheel or the racing seat will always be the most memorable part of a visitor’s day. Uniquely, The Racing Bug motorsport is as engaging to watch as it is to participate in. We create an unrivalled vibrancy and atmosphere connecting with huge crowds and impressive numbers of delighted participants. Spectators enjoy a perfect view of the whole circuit and watch the driver reactions as the adrenalin builds and the start lights switch from red to green. 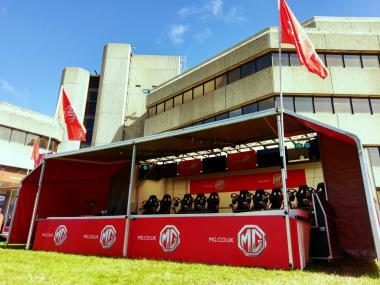 Unlike many event attractions, our systems operate non-stop in all weather conditions ensuring we are always able to delight and entertain as many visitors as feasible. For brand partners or sponsors, all our systems are inherently brandable. This, coupled with our ability to create any specific race vehicle (from trucks, to fridges to F1 cars) allows us to create a fully immersive brand experience. 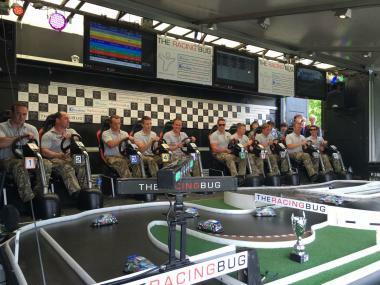 The Racing Bug creates true brand engagement and delivers the conversations that matter, leaving all other experiential marketing attractions in the shade.